The divide between Republicans and Democrats on the strength of the American economy widened into a chasm in January. The partisan divide on the economy stretches back at least as far as the 2016 election, with Republicans far more likely to see the economy as improving than Democrats. But over the past few months, Democrats have turned even more sour about economic conditions while Republicans have remained optimistic. 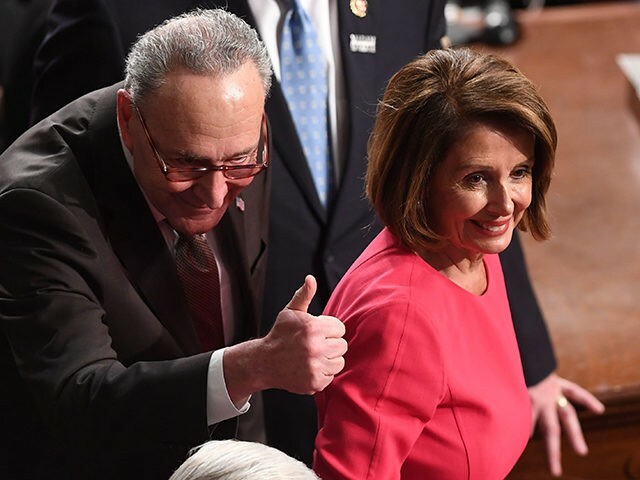 Just 18 percent of Democrats in January said the economy is getting better, according to the latest Gallup poll. That is half the share that said the same in November. Republicans take a brighter view. Eighty-three percent said in January that the economy is improving, down just four points from 87 percent in November. As a result, the optimism gap has grown from 55 percentage points to 65 percentage points. The result of this growing extreme pessimism on the economy has been to drag down overall economic sentiment. Forty-eight percent of Americans now 48% say economic conditions are worsening, a rise from 45% in December and 36% in November. The Democratic pessimism has spiked higher despite very positive views of the labor market. The unemployment rate and jobless claims are near multi-decade lows. Sixty-six percent of Americans say now is a good time to find a quality job, according to Gallup. Even among those who think the economy is deteriorating, almost half say it is a good time to get a good job. Prior to the election of Donald Trump, Gallup had never found that more than 50 percent of Americas believed it was a good time to get a job. Since January of 2017, this measure has never been below 50 percent and has held relatively steady over the past nine months, ranging between 64 percent and 68 percent. Freshman Congresswoman Alexandria Ocasio Cortez may be the most prominent embodiment of the newly resurgent Democratic pessimism about the economy. “How are we saying take it easy, the America that we’re living in today is so dystopian with people sleeping in their cars so they can work a second job without healthcare and we’re told to settle down?” she said, without evidence, in a speech on Monday. In fact, the US unemployment rate rose to 3.9 percent in December 2018 from a 49-year low of 3.7 percent in the previous month. The share of Americans that hold multiple jobs was about 5.1 percent in December, exactly where it was a year earlier and within the ordinary range of between 4.9 and 5.1 from 2008 till now. In the months leading up to the election of 2016, the number had climbed to 5.3 percent.